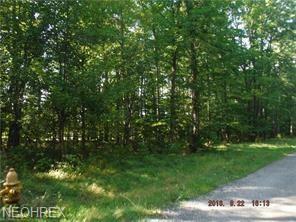 Nestled on a private drive, this large lot is perfect for your new Solon home to be built. Enjoy the golf course views, as the rear backs onto Signature of Solon Golf Course. Utilities at the cross street, but not run to the property. The lot is level and wooded! Don't let this one get away! Water and sewer at the street, Gas and electric on the street, but will need to be extended from the intersection of Edith and Willow. The city will require that the utilities and road be in place before approving any building on the property. There are other interested owners on the street. This may take some coordination with others on the street to meet the city expectations. The City of Solon would have to verify that your project will meet their current standards. Listing courtesy of Re/Max Haven Realty. Listing provided courtesy of Re/Max Haven Realty.